For a positive review of the product purchased, the seller will provide you with a gift card in the amount of 5,1 % of the purchase price, but not less than 0.01 RUB. 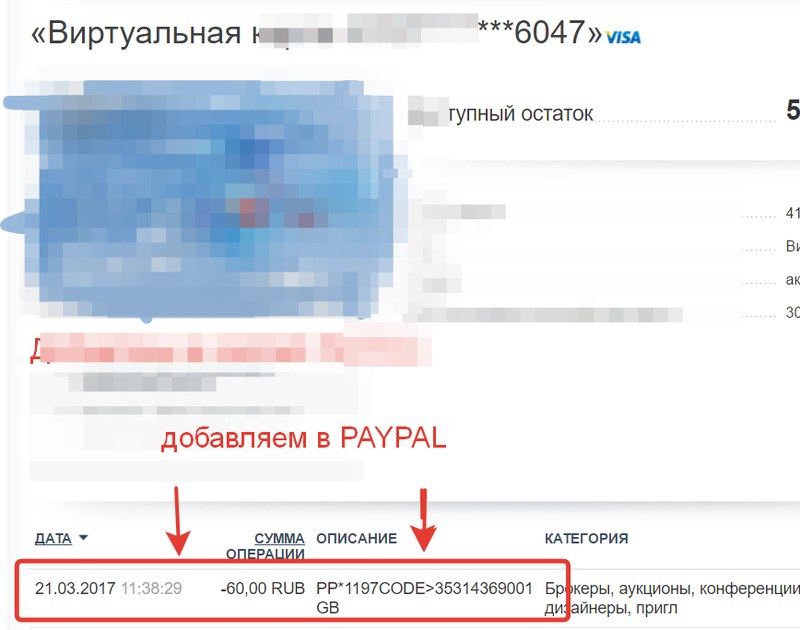 VISA CLASSIC Ideal for buying Adwords RUS Account! Personally I tested! 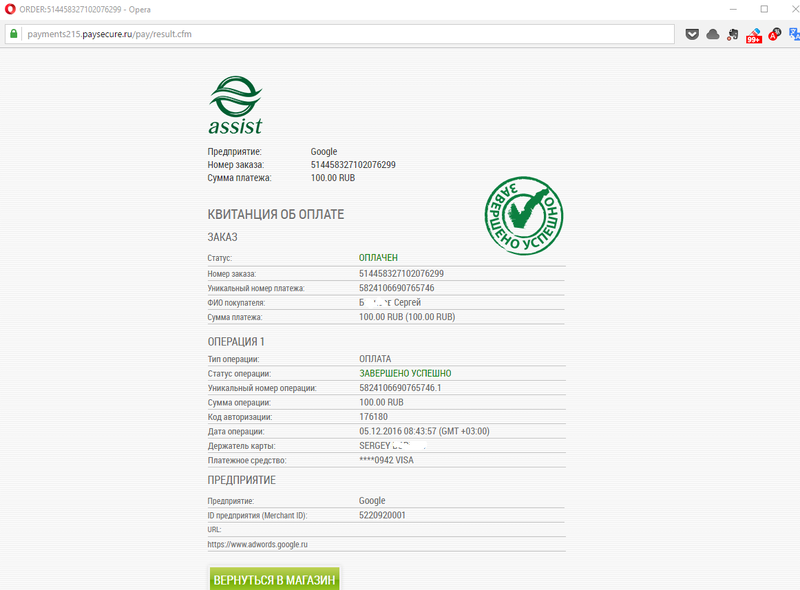 For the successful completion of payment specify your real data the minimum recharge amount $ 100 Adwords account before payment you will be redirected to 3D Sequriti page where you will enter the 6-digit confirmation code and. I´ll send it to you. If you can not pay to let me guest in Adwords I replenish the balance in your account. 4. In reply you get finished map. + Return balance from the card transfer to WebMoney or your mobile phone. + Refunds for purchase in the absence of card transactions, or in the case of return on its payment (refund). This prepaid debit cards Russian and European banks, are accepted at most online stores and various services (both Russian and foreign). Such cards are virtually indistinguishable from conventional plastic Visa Electron, Classic, Gold et al. Address, name and surname of the use of these cards can be quite arbitrary, ie, such cards there is absolutely no reference to the billing address (as usual Visa, you can use only the address, name and surname, which indicated when placing the card in a bank). 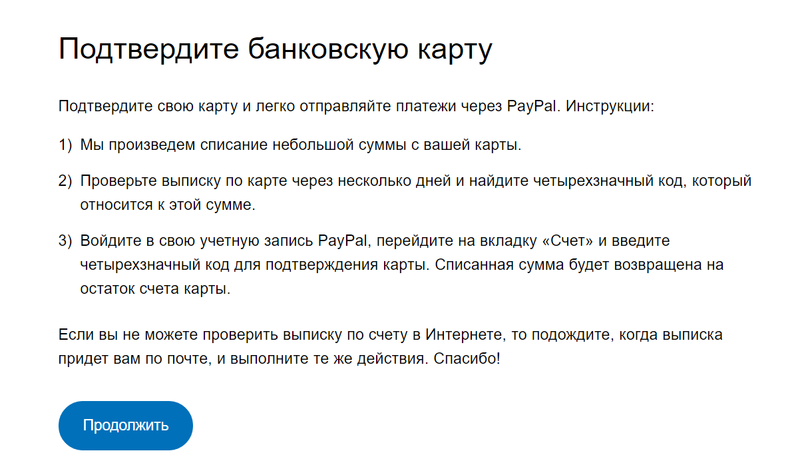 Cards accepted at services such as PayPal, Ebay, Google Adwords, iTunes RU, Google Checkout, GodAddy, Moneybookers, Amazon, Ozon, Yahoo, Steam, Alertpay.com, Vkontakte.ru, Eveonline.ru, WOW RUS, Ebay, 2co. com, Aeroflot.ru, 3zoom.com, iTunes RU, DarkFallOnline, 4game.ru, PartyPoker.com, Google Checkout, GodAddy, efax.com, Mlb.com, s7.ru, WordPress.com, Platezh.ru, Apple. 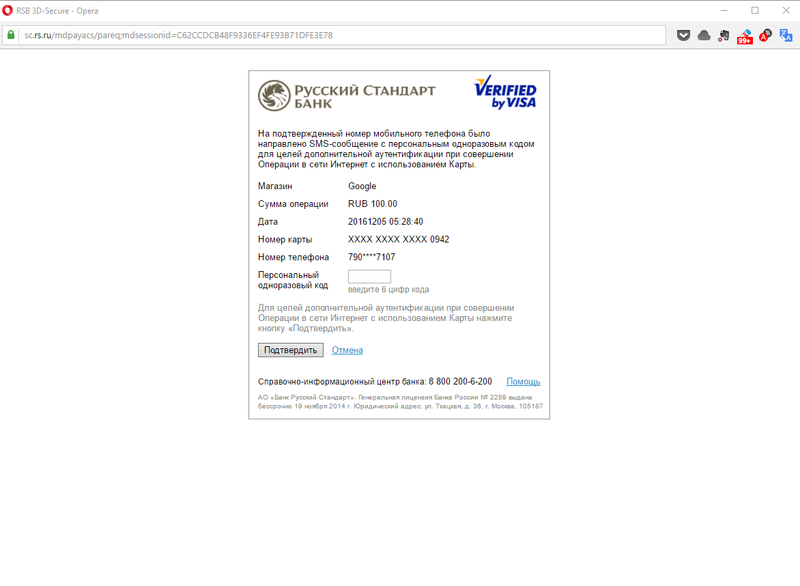 com, Gosloto.ru, Phstore.eu, Fxclub.org, Kajabi.com, McAfee.com, NCSoft.com, Website.ws, Mchost.ru, LineAge, iTunes.com, Google.com, Eveonline.ru, PSN RUS , Casino.com, Microsoft.com, Ventrilo, Snapnames.com, Dreamhost.com, FonBet.com, Moneybookers, Amazon, mysite.com, Wizards.com, Namecheap.com, Nunames.nu, Plimus.com, Pokerstars.net , re-Store.ru, Ozon, Yahoo, PwOnline.ru, RFonline.ru, RZD.ru, Skype and many others. 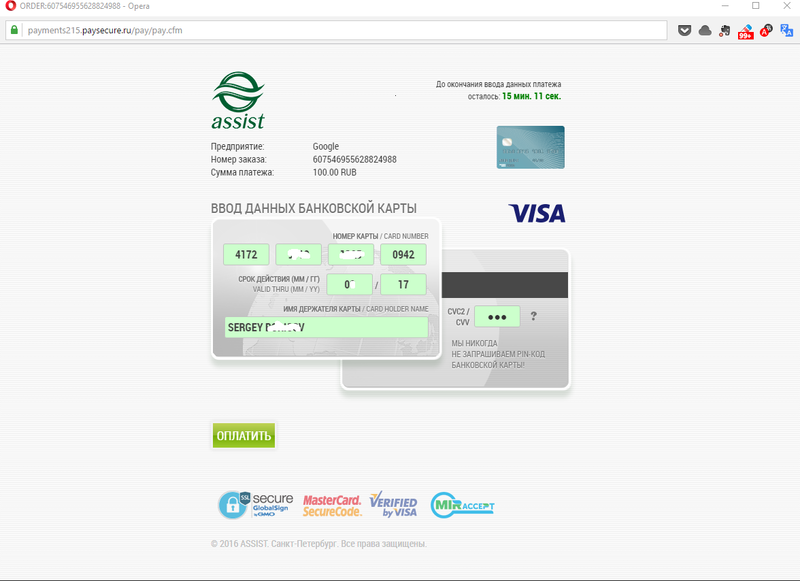 In some cases (eg, CCBill.com, Epoch.com - these services patency is not guaranteed) in order to successfully cross-cards must use an American anonymous proxy (samair.ru/proxy/), but most sites will map without it. ATTENTION! Extract card transactions, card balance, and 4-digit code necessary for verification Account PAYPAL available free of charge! After payment, please let us know the unique code. Within 24 hours maximum you will receive details of your card. Each buyer after payment as a commodity is assigned a unique 16-digit code (each customer is different), which is generated automatically by our service. This code is the buyer tells you, using your contact details, and you, in turn, by searching or XML-interface, check its authenticity, the payment amount and the amount paid by the units to complete the sales transaction with the buyer. Seller will give you a gift certificate in the amount of 8,7083 RUB for a positive review of the product purchased..